The principal who managed Roosevelt High School in North Portland through five years of growth and construction will take over as principal of Wilson High School on July 1. Filip Hristic has been principal at Roosevelt since 2014. He will replace Wilson's previous principal, Brian Chatard, who resigned last summer for reasons that have never been made public. In coming to Wilson, Hristic will be in charge of a larger high school than he's used to. Roosevelt's enrollment has grown since he started there, but, with student enrollment close to 1,000, is smaller than Wilson, which has a student body of close to 1,400 students. Roosevelt also is more diverse. Forty percent of students there are Hispanic, 28 percent are white and 17 percent are black. At Wilson 74 percent of students are white, 8 percent are Hispanic and 6 percent are black. Hristic (pronounced h-REES-tich) was born in Belgrade, Serbia, and came to America when he was in seventh grade. He says his family hoped to return to Serbia, but war in the Balkans made that impossible. So he finished high school in New Jersey, undergraduate and graduate school at Boston College, and pursued teacher training studies at Harvard. His career began in classrooms in Boston, where he first taught. He moved to Oregon in 2007. 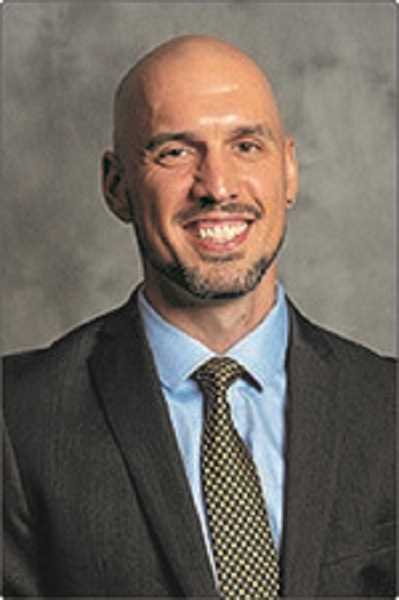 Before taking the top job at Roosevelt, Hristic was principal at Newberg High School and at Creative Science, a Portland Public Schools K-8 "focus option school." In a news release from district offices, his management of a $100 million modernization project at Roosevelt was cited as one of his accomplishments. He also was given credit for enrollment increases and higher graduation rates at Roosevelt. In 2018 Roosevelt had a graduation rate of 70 percent. Wilson's graduation rate was 90 percent. Among other comparative metrics provided by Portland Public Schools and the Oregon Department of Education, Roosevelt's latest on-time graduation rate is 73 percent. That rate was 53 percent when Hristic became principal. Wilson's on-time graduation rate last June was 88 percent, down 2 percent from the previous year. While Roosevelt may have a more diverse student body, more languages are spoken at Wilson — 33 — than at Roosevelt — 25. School district data from the 2017-18 school year show that 60 percent of Roosevelt's students are categorized as "regular attendees" while at Wilson 72 percent of the student body show up for classes regularly. In a greeting to members of the Wilson community, Hristic introduced his children, "I am the proud father of two remarkable kids, Maya, 9, and Mateo, 6. They remind me of the wisdom, creativity and strength that emanate from every child. Maya and Mateo will both be Trojans in a few years." Wilson's teams are called the Trojans. Since the previous principal at Wilson left, Maude Lamont, who had been vice principal, has been in the top position on an interim basis. Hristic takes over on July 1. He will earn between $128,500 and $138,500.